Interreg Mediterranean POSBEMED-Project co-financed by the European Regional Development Fund. The priority axis of this project is protecting and promoting Mediterranean natural and cultural resources. The objective is to maintain biodiversity and natural ecosystems through strengthening the management and networking of protected areas. 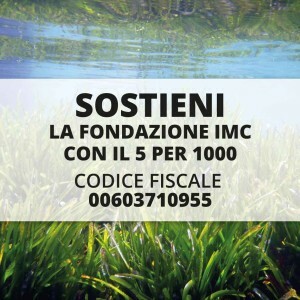 Posidonia oceanica is a Mediterranean endemic marine flowering plant (seagrass) forming extensive underwater meadows which are important contributors to the bioremediation of coastal waters and shoreline protection. 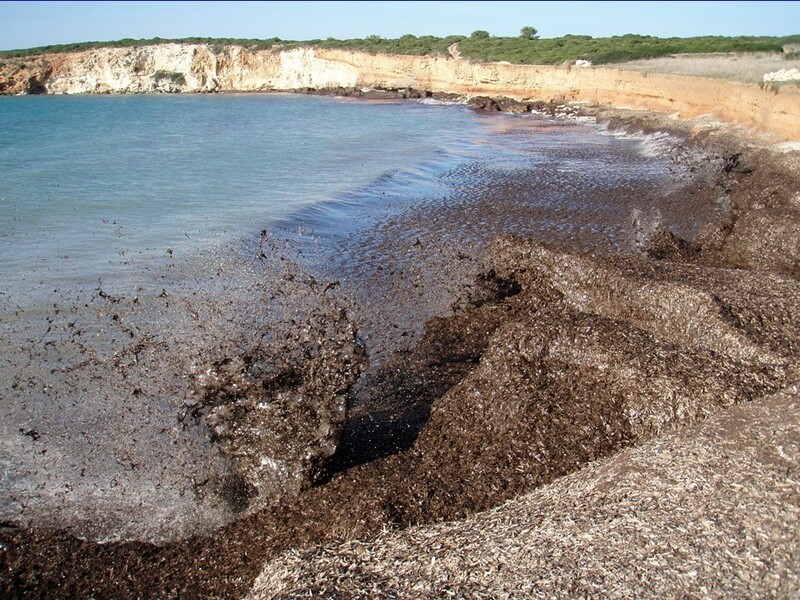 Posidonia residues (withered leaves, fibers and rhizomes) are regularly stranded and beached ashore, where they help reduce wind and swell wave energy and act as seedbanks for dune formation, increasing thus the overall resilience of the coast to natural and climate change effects. This natural capital, however, is often perceived as an aesthetic problem, especially in highly-frequented tourist zones. To ensure that the coasts and beaches remain attractive for tourism, various and sometimes destructive practices (tractors and heavy machinery) are used to remove tons of this material, even in protected areas with fragile sandy beaches and dune systems. POSBEMED will look at the management, conflicts and opportunities of the Mediterranean coast, particularly in coastal protected and Natura 2000 areas where interdependence between seagrass meadows, dunes and beaches occurs, with a view to provide a Mediterranean strategy and governance model for enhancing management effectiveness of these areas and beyond. By integrating the results of several past projects and examining management practices, stakeholders’ perception and expectations, guidelines with innovative management tools will be produced to enhance local administrations and coastal managers’ capacity across the Mediterranean. The results will assist in improving protection measures and enhancing management effectiveness on these connected habitats, while promoting local blue growth and nature-based solutions on the use and sustainable management of the seagrass banquettes. 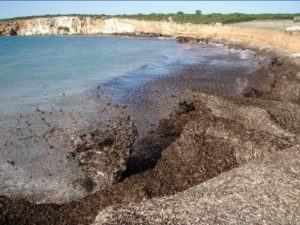 To identify and analyse the current management practices of Posidonia beaches/dunes systems and banquettes in Mediterranean countries and provide a socioeconomic evaluation synthesis of its ecosystem services. Integrate and adapt tools for management of Posidonia beach/dunes in local sustainable growth and good practice guidelines for a holistic and integrated approach in conservation and management efforts. To propose a model of governance and a common strategy for the management of Posidonia beach/dune systems in the Mediterranean Natura 2000 sites and other coastal protected areas. IMC is the responsible partner for the activity 3.4 (Posidonia-beach/dunes socio-economic evaluation) aimed to deliver an evaluation of ecosystem services provided by Posidonia-beach systems along the Mediterranean coasts and to assess costs and benefits of beach management with regard to the removal of banquettes. Moreover, IMC, along with the all partners, will compile a GIS database with available data regarding the distribution of coastal touristic activities, Posidonia oceanica meadows and banquettes, dune systems, and coastal protected areas in the Mediterranean region. Finally, IMC will contribute to review the existing guidelines for sustainable beach and stranded seagrass management and to provide recommendations for the management of the system Posidonia beaches/dunes systems. Findings and outcomes of the project will be used to define a transnational joint strategy and an action plan regarding Posidonia beaches/dunes systems in protected areas and Natura 2000 sites, and provide suitable tools to enhance evaluations and management approaches addressed to coastal resource managers and decision makers on the seagrass/beach systems in the Mediterranean regions. This project is led by the Entente Interdépartementale de Démoustication Méditerranée (EID-MED, France) and involves four main partners from the Mediterranean basin: the IUCN Centre for Mediterranean Cooperation (Malaga, Spain), the IMC Foundation – International Marine Centre (Sardinia, Italy), ECO-logica srl (Bari, Italy) and HCMR – Hellenic Centre for Marine Research (Anavissos, Greece). Other associated partners: Hellenic Society for the Protection of Nature, Ministry of Agriculture, Rural Development and Environment of Cyprus, Larnaka Municipality in Cyprus, Regional Government of the Balearic Islands (Department of Environment, Agriculture and Fisheries), French Agency for Biodiversity, and the Municipality of Giovinazzo in Italy.